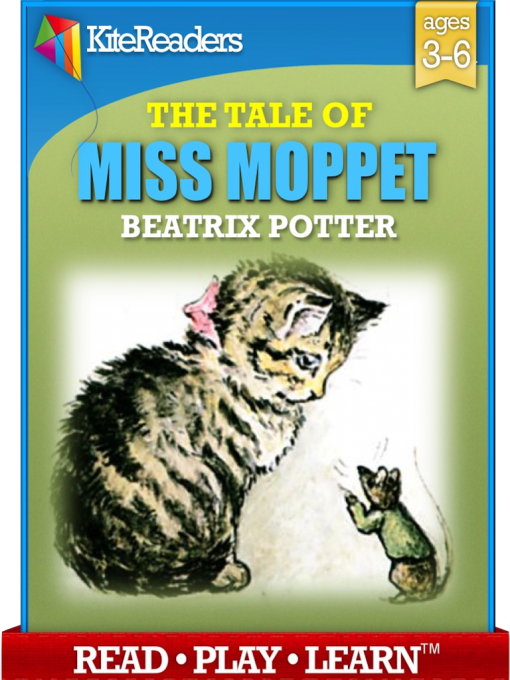 KiteReaders brings new life to Beatrix Potter’s classic picture book in this enhanced eBook, that renders illustrations & text in a tastefully designed digital version. Miss Moppet, the story’s eponymous main character, is a kitten teased by a mouse. While pursuing him she bumps her head on a cupboard. She then wraps a duster about her head, and sits before the fire “looking very ill”. The curious mouse creeps closer, is captured, “and because the Mouse has teased Miss Moppet – Miss Moppet thinks she will tease the Mouse; which is not at all nice of Miss Moppet”. She ties him up in the duster and tosses him about. However, the mouse makes his escape, and once safely out of reach, dances a jig atop the cupboard.